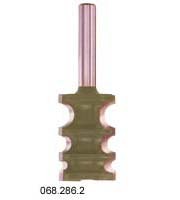 -Straight Bit-(One flute) -Shank Dia. :1/4",1/2" -Shank Length: 1-1/4"
-Straight Bits-two flutes -Shank: 1/4" -Shank length:1-1/4"
-Straight Bits-2 flutes -Shank Dia. 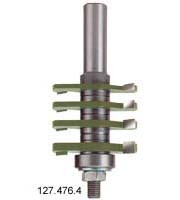 :1/2" -Shank Length:1-1/4,1-1/2"
-Super-Duty Straight Bits (2 flutes) -Shank Dia. 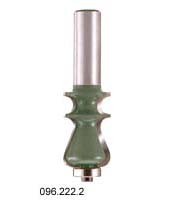 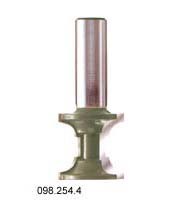 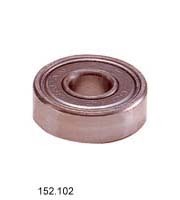 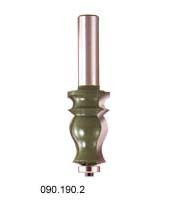 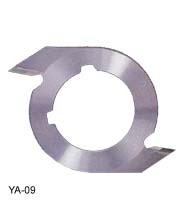 :1/4",1/2"
-FLUSH TRIM BITS -Ball bearing guide -Shank Dia. 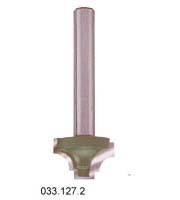 :1/4",1/2"
-SUPER-DUTY FLUSH TRIM BITS -Ball bearing guide -Shand Dia. 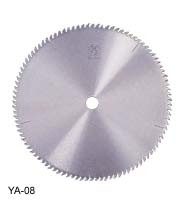 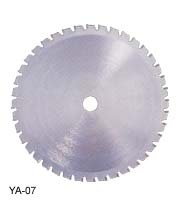 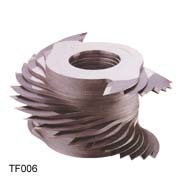 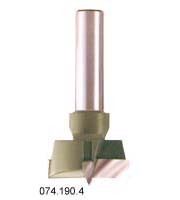 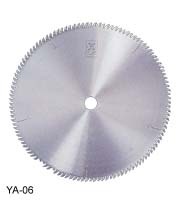 :1/4",1/2"
-BEVEL & FLUSH TRIM BITS -Shank Dia. 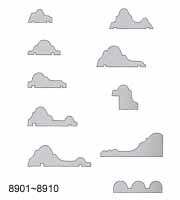 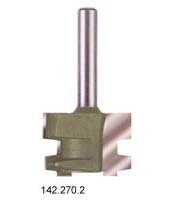 :1/4" -Shank Length: 1-1/4"
-BEVEL TRIM BITS -Two flutes,Ball bearing guide -Shank Dia. 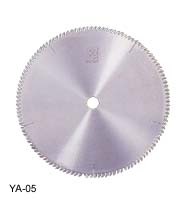 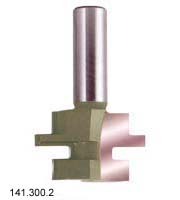 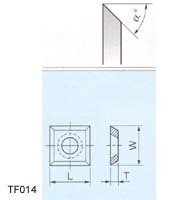 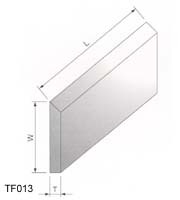 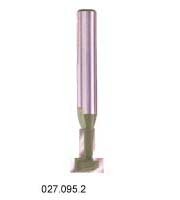 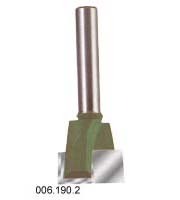 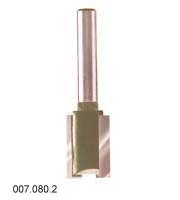 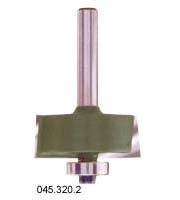 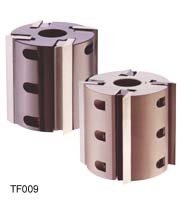 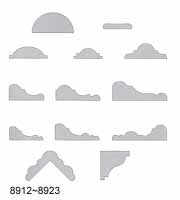 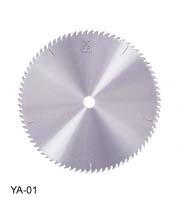 :1/4"; Length:1-1/4"
-"V" GROOVE BITS -Two flutes,90 degree angle -Shank Dia. 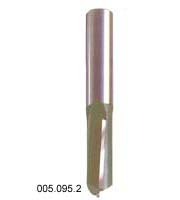 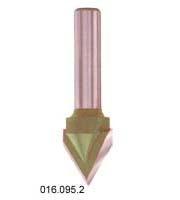 :1/4",1/2"
"V" GROOVE BITS -Two futes,60 degree angle -Shank Dia. 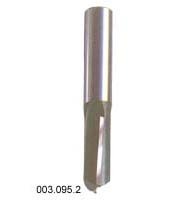 :1/4, Length:1-1/4"
SIGNMAKING BITS -Shank Dia:1/4",1/2" -Shank Lenght:1-1/4",1-3/4"
DOVETAIL BITS(Two Flutes) -Shank Dia:1/4",1/2" -Shank Length:1-1/4",1-1/2"
-CORE BOX BITS (two flutes) -Shank Dia. 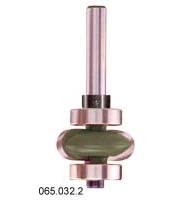 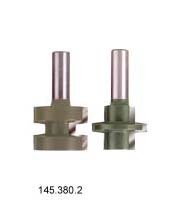 :1/4",1/2" -Shank Length:1-1/4",1-1/2"
-CORE BOX BITS (two flutes,with upper ball bearing guide -Shank Dia. 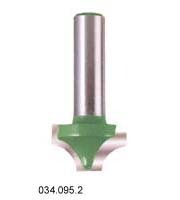 :1/4"
-ROUND NOSE BITS (two flutes) -Shank Dia. 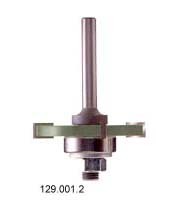 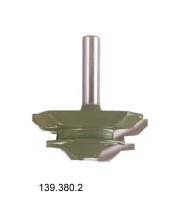 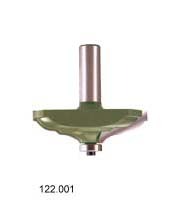 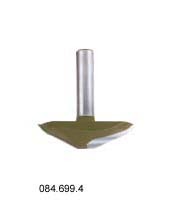 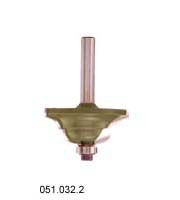 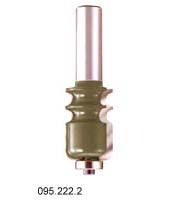 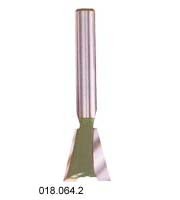 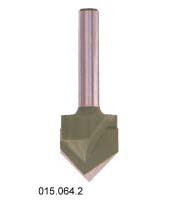 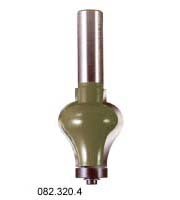 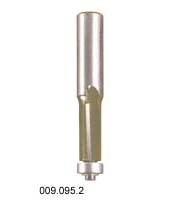 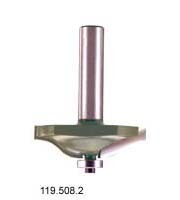 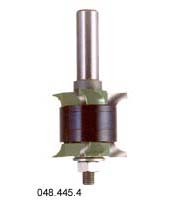 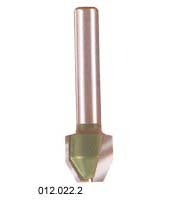 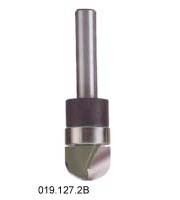 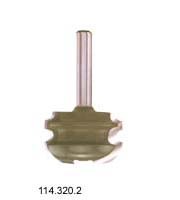 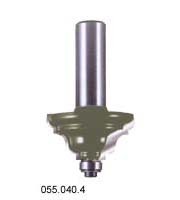 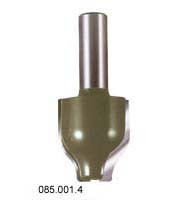 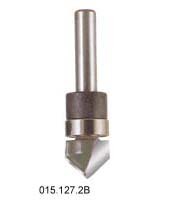 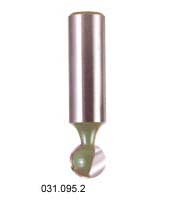 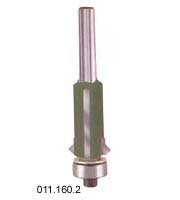 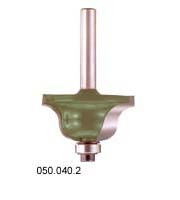 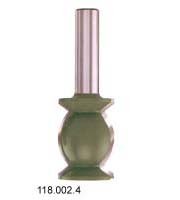 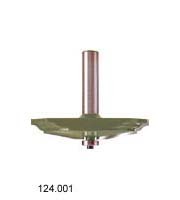 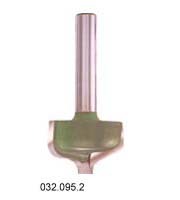 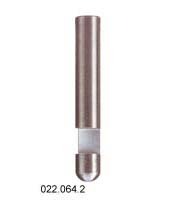 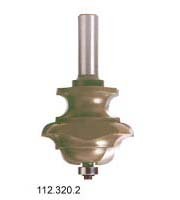 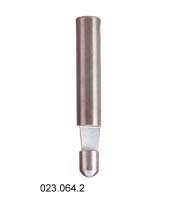 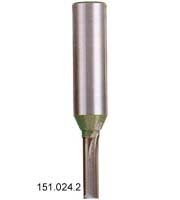 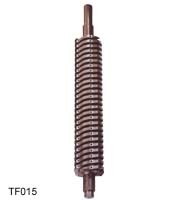 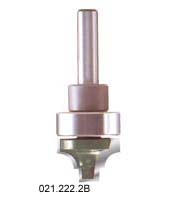 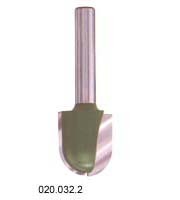 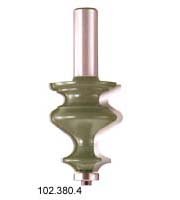 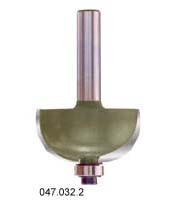 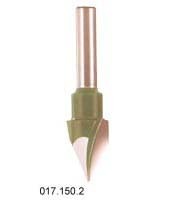 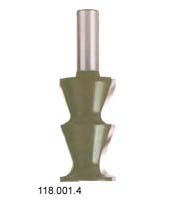 :1/4", 1/2" -Shank Length:1-1/4",1-1/2"
-FLUSH TRIM BIT(solid carbide) -Shank Dia. 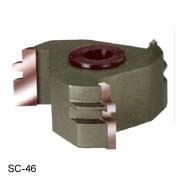 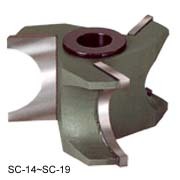 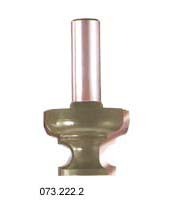 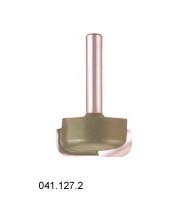 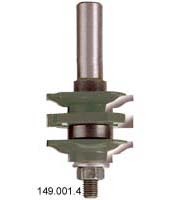 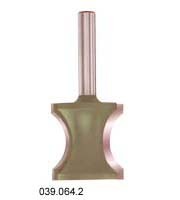 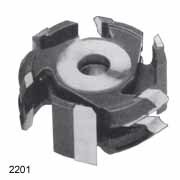 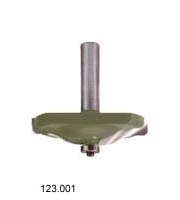 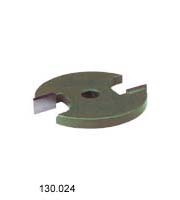 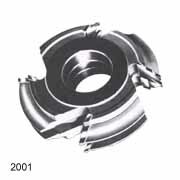 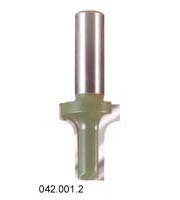 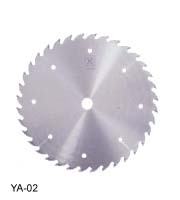 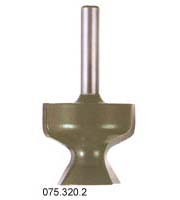 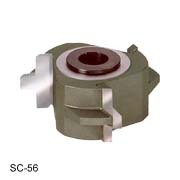 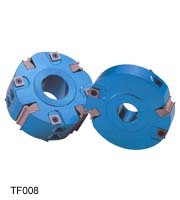 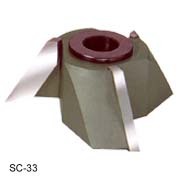 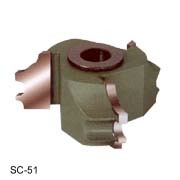 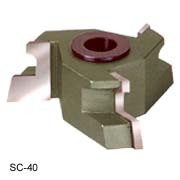 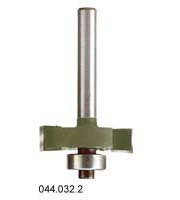 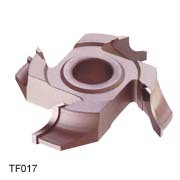 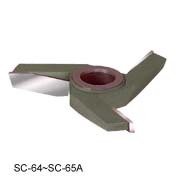 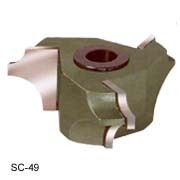 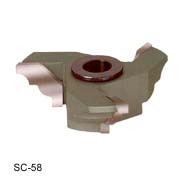 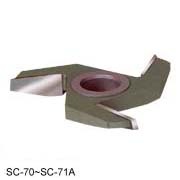 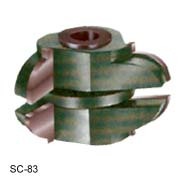 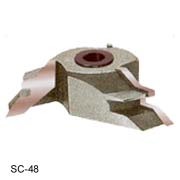 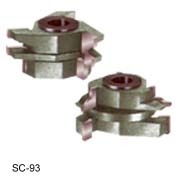 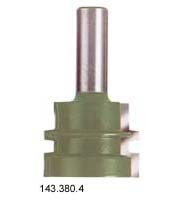 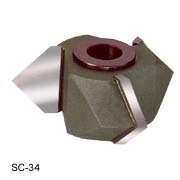 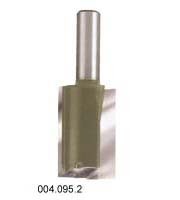 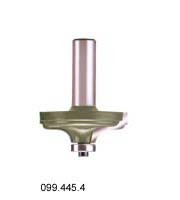 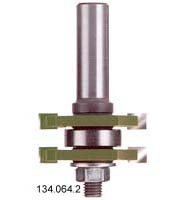 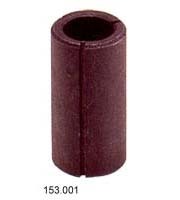 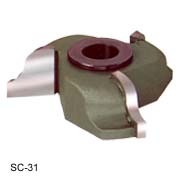 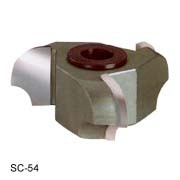 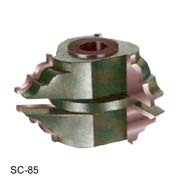 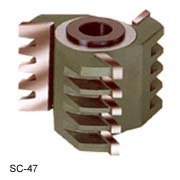 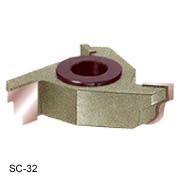 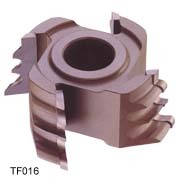 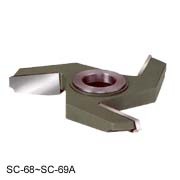 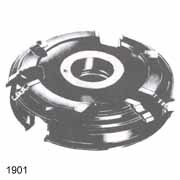 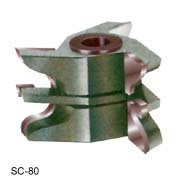 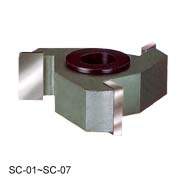 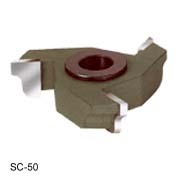 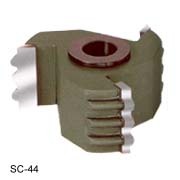 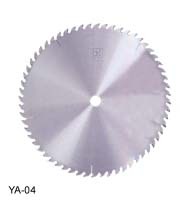 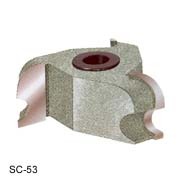 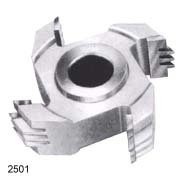 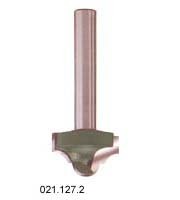 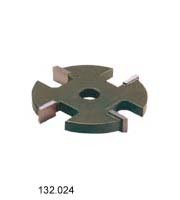 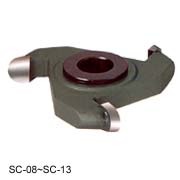 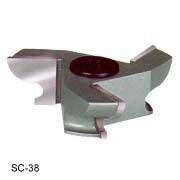 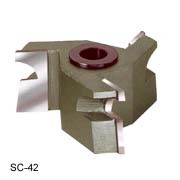 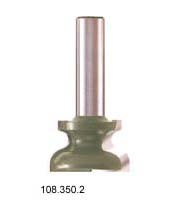 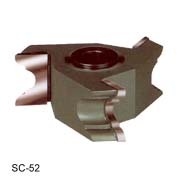 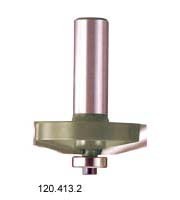 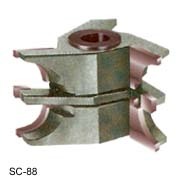 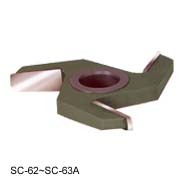 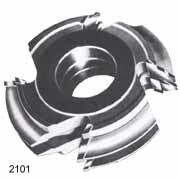 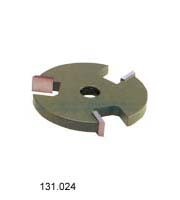 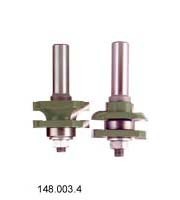 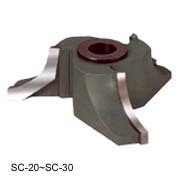 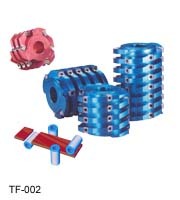 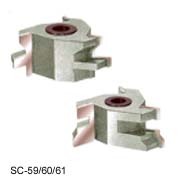 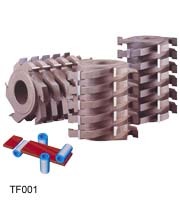 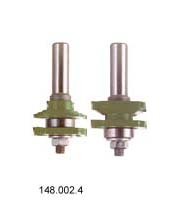 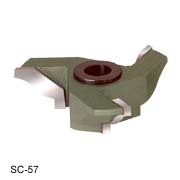 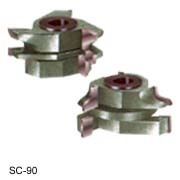 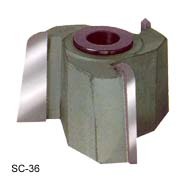 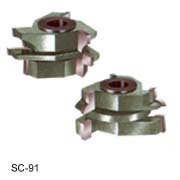 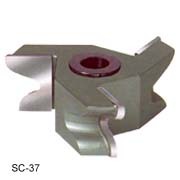 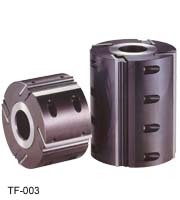 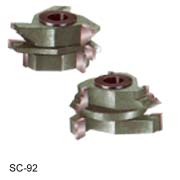 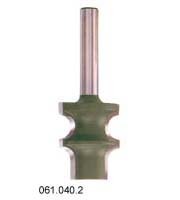 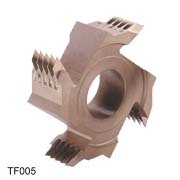 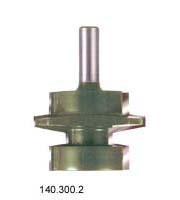 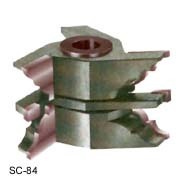 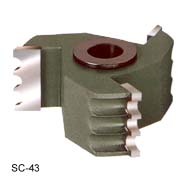 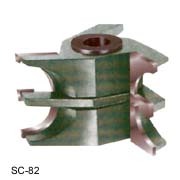 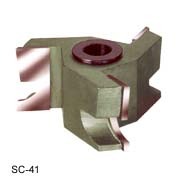 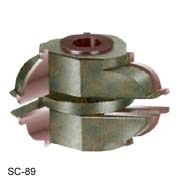 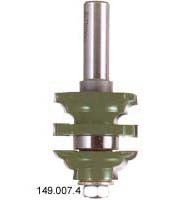 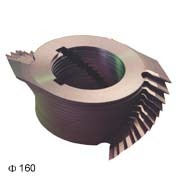 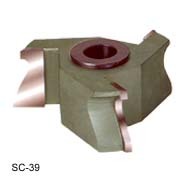 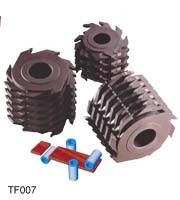 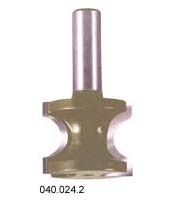 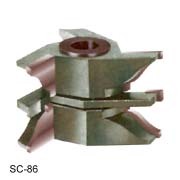 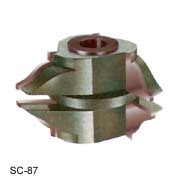 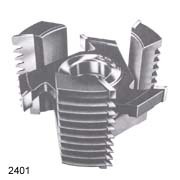 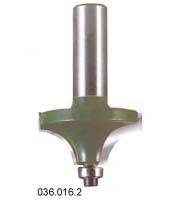 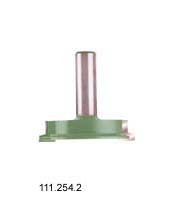 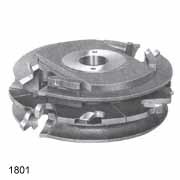 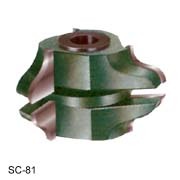 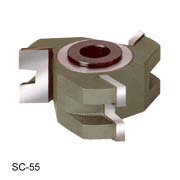 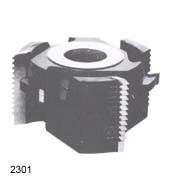 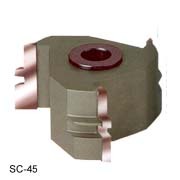 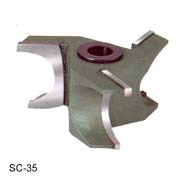 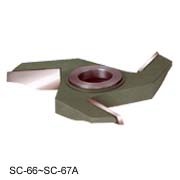 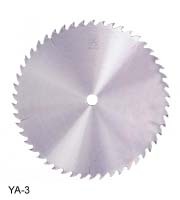 :1/4" -Shank Length:1-1/4"
-7˚BEVEL TRIM BITS (solid carbide) -Shank Dia. 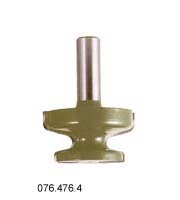 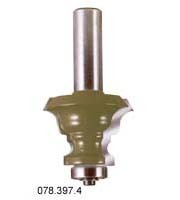 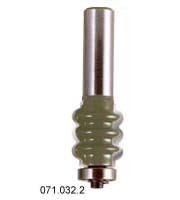 :1/4"
-PANEL PILOT BITS(sikud carbude) -Shank Dia. 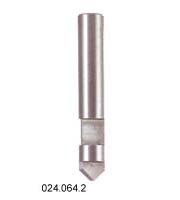 :1/4"
-PANEL PILOT BITS -Shank Dia. 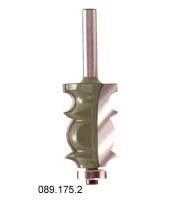 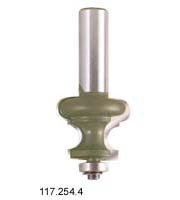 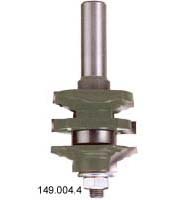 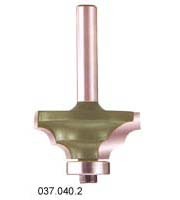 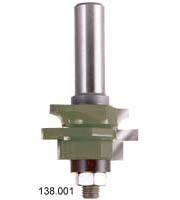 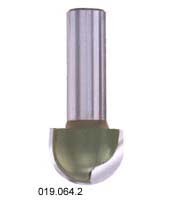 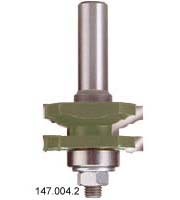 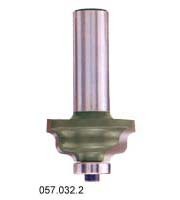 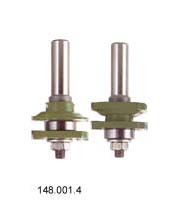 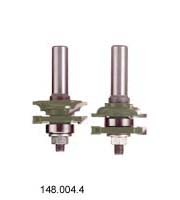 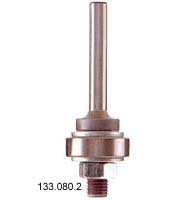 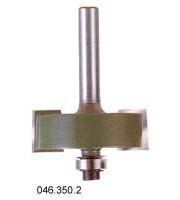 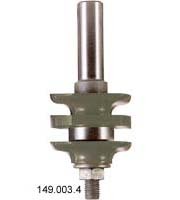 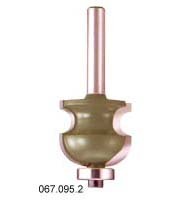 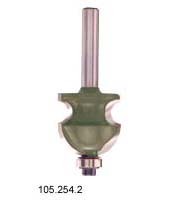 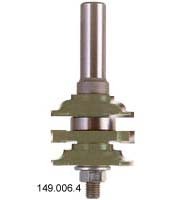 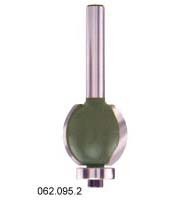 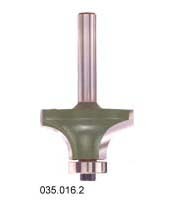 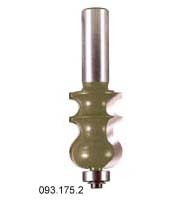 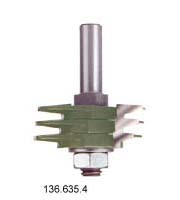 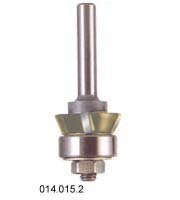 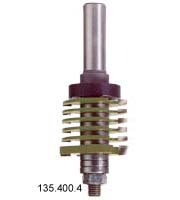 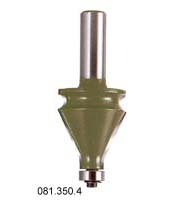 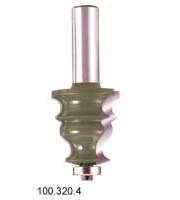 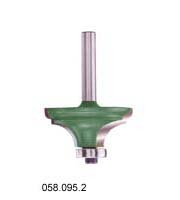 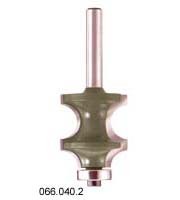 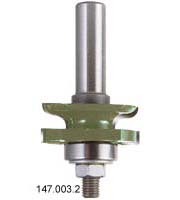 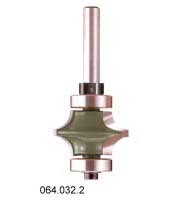 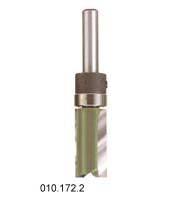 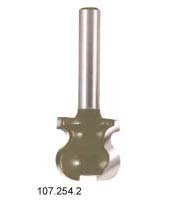 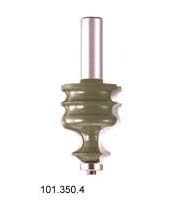 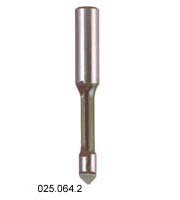 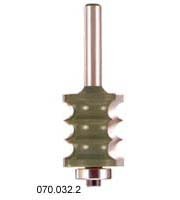 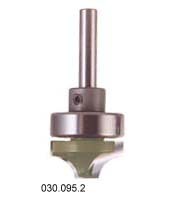 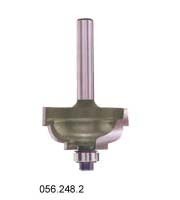 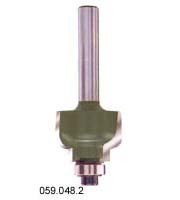 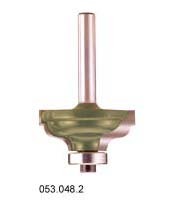 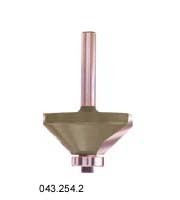 :1/4",1/2" -Shank Length:1",1-1/4",1-1/2"
-STAGGER TOOTH BIT-two flutes -Shank Dia. 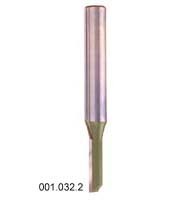 :1/2" -Shank Length:1-1/2"
-KEYHOLE BITS -Shank Dia. 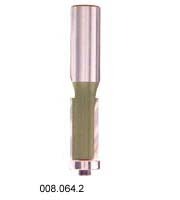 :1/4" -Shank Length:1-1/4"
BEADING BITS(2 flutes) -With upper ball bearing guide -Shank Dia:1/4",Length:1-1/2"
PLUNGE CUTTING BALL BITS -2 flutes -Shank Dia:1/4",1/2"
OGEE BITS -2 Flutes,Plunge Cutting -Shank Dia:1-1/4",1-1/2"
BEADING BITS -2 flutes, Plunge cutting -Shank Dia:1/4",1/2"
ROUND OVER BITS -2 flutes, Ball bearing guide -Shank Dia:1/4",1/2"
BEADING BITS -2 flutes, Ball bearing guide -Shank Dia:1/4",1/2"
DOUBLE ROUND BITS -2 flutes, Ball bearing guide -Shank Dia:1/4",1/2"
CONVEX EDGING BITS(2 flutes) -Shank Dia:1/4",1/2" -Shank Length:1-1/4",1-1/2"
BULL NOSE RADIUS BIT(2 Flutes -Shank Dia:1/4",1/2" -Shank Length:1-1/4",1-1/2"
DISH CARVING BITS(2 flutes) -Shank Dia:1/4",1/2" -Shank Length:1-1/4",1-1/2"
PIERCE & ROUND OVER BITS -2 flutes -Shank Dia:1/4",1/2"
45˚ CHAMFER BITS -2 flutes, Ball bearing guide -Shank Dia:1/4",1/2"
"T" SLOTTING BITS -2 flutes, Ball bearing guide -Shank Dia:1/4",1/2"
RABBETING BITS -2 flutes, Ball bearing guide -Shank Dia:1/4".1/2"
COVE BITS -2 flutes, Ball bearing guide -Shank Dia:1/4",1/2"
DOUBLE ROUND OVER BITS -3 flutes, Ball bearing guide -Shank Dia:1/2";Length:1-1/2"
ROMAN OGEE BITS -2 flutes, Ball bearing guide -Shank Dia:1/4",1/2"
CLASSICAL ROMAN OGEE BITS -2 flutes, Ball bearing guide -Shank Dia:1/4",1/2"
OGEE BITS -2 flutes, Ball bearing guide -Shank Dia:1/4",1/2"
OGEE FILLET BITS -2 flutes, Ball bearing guide -Shank Dia:1/4",1/2"
CLASSICAL OGEE BITS -2 flutes, Ball bearing guide -Shank Dia:1/4",1/2"
CLASSICAL OGEE BITS -2 flutes, Ball bearing guide -Shank Dia:1/2"
CLASSICAL COVE BITS -2 flutes, Ball bearing guide -Shank Dia:1/4",1/2"
WAVY MOULD BITS -2 flutes, Ball bearing guide -Shank Dia:1/4",1/2"
FRENCH TRADITION TABLE BITS -2 flutes, Ball bearing buide -Shank Dia:1/4", 1/2"
EDGE MOULD BITS -2 flutes, Ball bearing guide -Shank Dia:1/4",1/2"
EDGE BEARING BITS -2 flutes, Ball bearing guide -Shank Dia:1/4",1/2"
TAPER REED BITS(2 flutes) -Shank dia:1/4",1/2" -Shank Length:1-1/4:, 1-1/2"
SUNK BEAD BITS -2 flutes, Ball bearing guide -Shank Dia:1/4",1/2"
FULL BEAD BITS(2 flutes) -Double ball bearing guide -Shank Dia:1/4"
FLUTE BITS(2 flutes) -Double ball bearing guide -Shank Dia:1/4"
LARGE BEAD BITS -2 flutes, Ball bearing guide -Shank Dia:1/4",1/2"
LARGE BEAD & COVE BITS -2 flutes, Ball bearing guide -Shank Dia:1/4",1/2"
TRIPLE BEAD BITS(2 flutes) -Shank Dia:1/4",1/2" -Shank Length:1-1/4",1-1/2"
TRIPLE BEAD BITS -2 flutes, Ball bearing guide -Shank Dia:1/4",1/2"
TRIPLE FLUTE BITS -2 flutes,Ball bearing guide -Shank Dia:1/4".1/2"
DRAWING LINE BITS -2 flutes,Ball bearing guide -Shank Dia:1/4"
COVE & BEAD BITS(2 flutes) -Shank Dia:1/4",1/2" -Shank Length:1-1/4",1-1/2"
HINGE BORING BITS -Shank Dia:1/2" -Shank Length:3"
DOOR LIP BITS(2 flutes) -Shank Dia:1/4",1/2" -Shank Length:1-1/4", 1-1/2"
DOOR LIP BITS(2 flutes) -Shank Dia:1/2" -Shank Length:1-1/2"
HANDRAIL BITS -2 flutes, Ball bearing guide -Shank Dia:1/2"
HANDRAIL BITS -2 flutes,Ball bearing guide -Shank Dia:1/2"
FRENCH PROVINCIAL BITS -2 flutes -Shank Dia:1/2"
VERTICAL RAISED PANEL BITS -2 flutes -Shank Dia:1/2"
FACE MOULDING BITS -2 flutes,Ball bearing guide -Shank Dia:1/4",1/2"
PROFILE EDGE MOULD BITS -Shank Dia:1/2" -Shank Length:1-1/2"
OGEE FILLET BITS -2 flutes,Ball bearing guide -Shank Dia:1/2"
FACE MOULDING BITS -Shank Dia:1/2" -Shank Length:1-1/2"
DRAWER PULL BITS -Shank Dia:1/4" -Shank Length:1-1/4"
DRAWER PULL BITS -Shank Dia:1/4",1/2" -Shank Length:1-1/4",1-1/2"
DRAWER CORNER LOCK BITS -Shank Dia:1/4",1/2" -Shank Length:1-1/4",1-1/2"
CLASSICAL MULTI-FORMS BITS -2 flutes,Ball bearing guide -Shank Dia:1/4",1/2"
MULTI-MOLDIG BITS -2 flutes,Ball bearing guide -Shank Dia:1/4",1/2"
SMALL BEAD & RADIUS BITS -2 flutes,ball bearing guide -Shank Dia:1/2"
CROWN MOULDING BITS -Shank Dia:1/2" -Shank Length:1-1/2"
PANEL RAISER-OGEE BITS -2 flutes,Ball bearing guide -Shank Dia:1/4",1/2"
25˚ PANEL RAISER -2 flutes,Ball bearing guide -Shank Dia:1/4",1/2"
PANEL RAISER-COVE BITS -2 flutes,Ball bearing guide -Shank Dia:1/4",1/2"
RAISER PANEL BITS -2 flutes,Ball bearing guide -Shank Dia:1/2"
FRENCH BAROQUE -2 flutes,BAll bearing guide -Shank Dia:1/2"
VARIABLE SLOT CUTTER SET -2 flutes,Ball bearing guide -Shank Dia:1/2"
THUMBNAIL BITS -2 flutes,Ball bearing guide -Shank Dia:1/4",1/2"
BACK CUTTER -3 flutes,Ball bearing guide -Shank Dia:1/4"
3-WINGS SLOTTING CUTTERS -Cutters only -Center holes:5/16"
4-WINGS SLOTTING CUTTERS -Cutters only -Center Hole:5/16"
ARBORS(Ball bearing guide) -Shank Dia:1/4",1/2" -Shank Length:1-1/4",1-1/2"
ECONOMY TONGUE & GROOVE ASSEMBLY -Shank Dia:1/4",1/2"
FINGER JOINT ASSEMBLY -Shank Dia:1/2" -Shank Length:1-1/2"
FINGER JOINT BITS -3 flutes,Ball bearing guide -Shank Dia:1/2"
"V" JOINT ASSEMBLY -Shank Dia:1/2" -Shank Length:1-1/2"
TONGUE & GROOVE TAPER -Shank Dia:1/4",1/2" -Shank Length:1-1/4",1-3/4"
TONGUE & GROOVE-PARALLEL -Shank Dia:1/4",1/2" -Shank Length:1-1/4",1-3/4"
DRAWER LOCK BITS -Shank Dia:1/4",1/2" -Shank Length:1-1/4",1-1/2"
LOCKING DRAWER GLUE JOINT BIT -Shank Dia:1/2"
GLUE JOINT BIT SET -Shank Dia:1/4",1/2" -Shank Length:1-1/4",1-1/2"
REVERSIBLE RAIL & STILE CUTTER-ROMAN OGEE -Shank Dia:1/4",1/2"
REVERSIBLE RAIL & STILE CUTTER-OGEE -Shank Dia:1/4",1/2"
REVERSIBLE RAIL & STILE CUTTER-COVE & BEAD -Shank Dia:1/4",1/2"
2 PIECE RAIL & STILE CUTTER SETS-ROMAN OGEE -Shank Dia:1/2"
2 PIECE RAIL & STILE CUTTER SETS-COVE & BEAD -Shank Dia:1/2"
2 PIECE RAIL & STILE CUTTER SETS-TRADITIONAL -Shank Dia:1/2"
2 PIECE RAIL & STILE CUTTER SETS-ROUND OVER W/BEAD -Shank Dia:1/2"
1 PIECE STILE & RAIL JOINT BIT-ROMAN OGEE -Shank Dia:1/2"
1 PIECE STILE & RAIL JOINT BIT-OGEE -Shank Dia:1/2"
1 PIECE STILE & RAIL JOINT BIT-COVE & BEAD -Shank Dia:1/2"
1 PIECE STILE & RAIL JOINT BIT-ROUND OVER -Shank Dia:1/2"
1 PIECE STILE & RAIL JOINT BIT-ROUND OVER W/BEAD -Shank Dia:1/2"
1 PIECE STILE & RAIL JOINT BIT-DOUBLE ROUND OVER -Shank Dia:1/2"
STRAIGHT BIT -Shank Dia:1/4",1/2" -Shank Length:1-1/4",1-1/2"
ROUTER COLLET REDUCERS WITH HEAT-TREATED -Center Hole:8mm,12mm,1/2"